Loving to Each Client Who Walks Through Our Spa Door. During our facial treatments you will experience a skin care line with powerful botanical ingredients derived from nature itself. These products combine only the most natural ingredients along with nourishing plant extracts that hydrate and repair the skin. 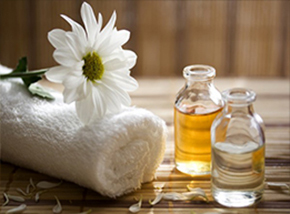 With our spa and massage services you’re getting an expert’s rhythmic and relaxing touch. Our massage offerings will restore balance to mind and body. 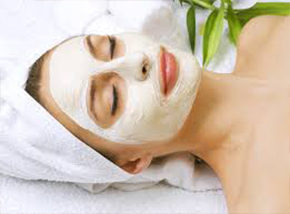 Beneficial to dry, premature aging, and oily skin, this treatment removes dead skin cells that impede moisture, and clog pours, a major cause of breakouts. Our packages were personally designed to offer some of our most popular services. We can also personalize any of the packages to accommodate your individual needs. We only use botanical products that are all PH balanced for your skin and do not contain fillers such as mineral oils, SD alcohols, colors or fragrances. 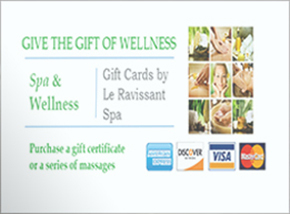 We take the hassle out of gift giving by providing an array of options for you to choose from, You can conveniently, at no additional charge, order your gift certificate online and have it emailed or mailed to you or directly to your recipient.